Based on the premise that the true Home of the Groove, at least on the North American landmass, is the irreplaceable musical and cultural nexus, New Orleans, Louisiana and environs, this audioblog features rare, hard to find, often forgotten, vintage New Orleans-related R&B and funk records with commentary. Some general knowledge of N.O. music is helpful here, but not required to get your groove on. I currently host a weekly show, "Funkify Your Life", on KRVS 88.7 FM in Lafayette which includes music covered on HOTG and more. You can listen-in live Thursdays at 1:00 PM or to the rebroadcast Fridays at 9:00 PM, or stream shows on demand and see playlists at the station website under the Programs tab. I am a former resident of Memphis, TN, where I did a weekly radio show called "New Orleans: Under the Influence" from 1988 to 2004 on WEVL 89.9 FM. I've been collecting and researching this kind of music (& others) even longer. Individual audio files are accessible for a limited time after posting. Link to access audio will be on the song title. No link? Audio's outa here*. When you hit a song link, a player streams it in a separate window. For other listening options, right click on the player when it comes up. Note: Audio files on this blog are not high resolution (usually 128k) and are posted for reference purposes only. Please do not link directly to them. Use caution if booty shaking while operating vehicles or heavy machinery. Whenever possible, please buy music by these artists!!! *HEADS UP: If the audio is no longer available here, hit the affiliated site, HOTG Internet Radio, a fully licensed webcast streaming a huge playlist of songs from the HOTG Archives. So go on, get up with the get down. ARTISTS & LABELS (or reps thereof): Want to submit your New Orleans/Louisiana grooves for review or posting consideration, or want an audio post discontinued? Email me. COMMENTS, corrections, or further enlightenment are encouraged and appreciated. Due to a big spam attack, the comments section is now moderated. Legitimate comments will be posted after review. Thanks for your understanding...and patience. "I heard a group called Huey Smith & the Clowns, out of New Orleans. Now this is where funk was really created! That's where funk originated.... I couldn't understand how to do it, so this drummer from Huey Smith's band [Hungry Williams] showed me how to play [it]." - Clayton Fillyau, drummer for Etta James and James Brown, on the origins of the 'James Brown Beat', in The Great Drummers Of R&B, Funk & Soul, interviewed by Jim Payne. "A lot of those New Orleans drummers would come through, and I got a lot of stuff from those guys....Tenoo [Coleman] was...as funky as any of them..... 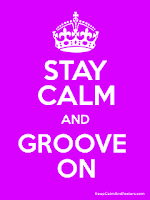 I learned some of that funk by listening to Tenoo." - John 'Jabo'Starks, drummer for Bobby Bland and James Brown, to Jim Payne as above. "At the risk of sounding egotistical, a lot of the broken up stuff that these guys are playing now stems from the stuff that I had started doing." - Earl Palmer, on his early days drumming with Dave Bartholomew's band, to Jim Payne, as above. "Without New Orleans, there would be no America." -Keith Frazier, Rebirth Brass Band, 2005. "....don't be fooled. This city is deeply wounded. I'd say it's like an amputee with phantom memory." -David Freedman, WWOZ, post-Katrina. "I discovered New Orleans along the way, and that made a big difference - It loosened me up." - Richie Hayward, the late drummer for Little Feat. Who Dat Jammin' With The HooDude? I first heard “Come Back Jack” on Henry Butler’s 1990 CD, Orleans Inspiration; but I soon discovered a version from a decade earlier on a Ramsey Lewis LP. I recently found my CD burn of the song from that album (which is currently misplaced) and thought I’d bring it to you along with Butler’s take, which features Leo Nocentelli, the song's composer. I am pretty sure Leo was on the Lewis session, too. For those of you who don’t dig synths or programmed percussion – be warned, both songs have one or both going on. I’ll start with the earliest cut, which I think may also be the first recorded version of this song (It was not registered with the copyright office until 1990!). 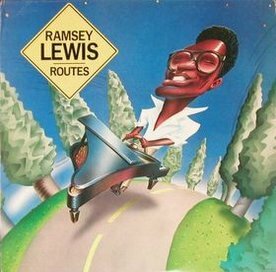 Ramsey Lewis’ Routes LP shows two producers, Larry Dunn and Allen Toussaint, and several recording venues, as I recall, including Sea-Saint Studios in New Orleans. Not having the album at hand, I am assuming that several of the Lewis sessions, including “Come Back Jack” were recorded at Toussant’s home base using some of his regular players, who are shown on the listings I found on the web: Leo Nocentelli, guitar; Herman Ernest, III, drums; Ken ‘Afro’ Williams, percussion; David Barard, bass, and Toussaint on keyboards, along with Lewis, of course. I find it odd that Nocentelli, who had considerable of music business experience by 1980, would offer up an un-copyrighted song for use; but, that’s showbiz; and use it they did, not that the album turned out to be very successful, or, overall, very memorable. To my ear, the simple drum patterns on “Come Back Jack” sound programmed, the dead giveaway being the fake handclaps substituted for snare hits and the wimpy high-hat sound. So, ‘Herman The German’ (as Dr. John has called Ernest) is not in play on this cut. But, I think the cowbell, shaker, and barely discernable congas are Afro’s and go a long way to help funkfy things, along with Barard’s choice bass pops (augmented by a synth bass at times) and Nocentelli’s ax chops. Atop it all, Toussaint and Lewis bob and weave, laying down. syncopated keyboard counterpoints and unisons on the hooky melody line that is stuck in my brain lately. Ooops! I've done offended a great engineer! I just love it when someone who was actually THERE gives us the lowdown. Thanks, Danny, for the clairifications and information, for that interview, which I still have on DAT (I hope to post some of it later, as it was extremely informative), and for introducing me to Allen Toussaint at that NARAS function back then. Please feel free to drop some more on us any time! 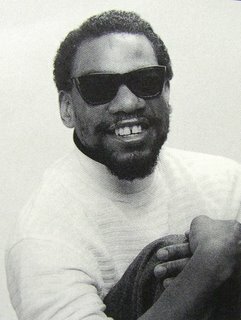 Henry Butler is an incredible keyboardist from the Crescent City with an amazing mastery of multiple styles: modern jazz, traditional jazz, barrelhouse blues, soul, funk, rock and pop (and probably some others I haven’t heard yet). If you are not familiar with any of his work, get busy. Captured live at Tipitina’s in 1989, Orleans Inspiration, marked the first of his many recorded excursions into the roots music of his hometown, after moving back there. Prior to that, he made some fine modern jazz recordings in the mid-1980’s. On this show, he is joined by Michael Goods, synthesizer, the great Chris Severin on bass, Herman Jackson, drums, and Leo Nocentelli, who simply wails on “Come Back Jack”. This strutting rocker is certainly a different take on the song compared to the earlier studio version. It’s a bit more upbeat and has a lot looser arrangement. Quite frankly, I find the synth playing a distraction on it (I think it’s Butler soloing) and would have much rather heard some horns in the mix – but, again, that’s the business we call show. To me, Nocentelli’s awesome riffing here transcends those petty concerns and makes the whole thing worth hearing. I know of one more recorded version of this tune, on the Nocentelli Live In San Francisco CD on DJM from 1997. You’ll have to find that one yourself, as it clocks in at over six minutes. While that version is definitely the rawest funk of the lot, Leo’s band seem to play it just a tad too slow. Overall, I find Toussaint’s studio arrangement to have the best groove and tempo of the lot. Maybe that shouldn’t be much of a surprise around here. Ramsey's Comeback Jack was not programmed drums. That was, indeed, Herman Ernest. Sorry you did't like my "wimpy high-hat sound". Also, the "fake handclaps" were played by Allen Toussaint. As I only had one track open and Allen was alone clapping, I tried to thicken it up with short delays which added to the, I guess, unnaturalness? Leo was the guitar player on all of the Toussaint productions on this album (all done at Sea-Saint). I remember Leo showing Ramsey the song during those sessions. And, yes, there were synths. All the tracking sessions where played with acoustic pianos. Ramsey played on a rental 7' Steinway and Allen on the studio 9' Baldwin. The synths were overdubbed later. I think Allen played all of those parts. These sessions were quite enjoyable as I remember because in addtition to the regular "family" of the New Orleans players, Ramsey was great to work with. Hope you find this of interest. Enjoyed our interview in Memphis some years ago.